SiteValley is an inexpensive web hosting provider with security, stability, reliability, and scalability as its attributes. It caters to all types of business needs: from simple to complex custom solutions. Their data centers provide the users with appealing features: assorted connectivity, protection, and an unrelenting, constant support to its customer base. The Company’s network multiple redundant backing connects all data centers via high capacity lines that enable 99.9% uptime guarantee. Each data center equipped with latest IP structure for effective and efficient web presence. Shared hosting plans start with Newbie with 1 GB space and unmetered bandwidth with one domain hosting. Pro Hosting supplies unlimited space and bandwidth with ten hosted domains. Small Business plan provides two free domains and free SSL Certificate. VIP Hosting plan provides unlimited hosted domains, free SSL Certificate, and advanced back-ups. For VPS hosting, SiteValley uses Xen® and OpenVZ. The former grants full virtualization and isolation and is considered one of the fastest, reliable, and secure solutions. Its features range in RAM which varies from 1024-4096 MB and space. The latter provides covers temporary overloads in need of additional memory with its exclusive features. It supplies 512-2048 GB RAM and 20-80 GB space. Affordable Linux dedicated servers along with free set up and control panels such as Webuzo, DirectAdmin, cPanel or Plesk with 24/7 customer and technical support. 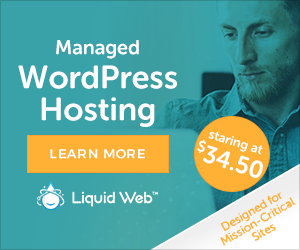 Shared Hosting prices vary with a number of domains hosted. Newbie starts at a low price of $2.50, and Pro Hosting plan costs $4.95, Small Business plan from $7.95 and VIP Hosting costs $15.9 per month. 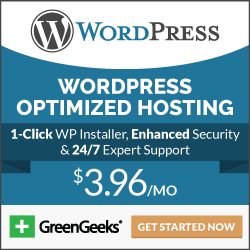 VPS hosting plans under Xen® starts from $ 9.99- $39.99 per month. Linux dedicated server plans start from $55.95 with features like CPU: AMD ATHLON 64 X2 3400 Dualcore 2X 1.8 GHz, RAM: 4 GB DDR3, HDD: 2X 320 GB SATA II and unlimited data transfer. Choice of Control Panels and OS: Webuzo, cPanel, and DirectAdmin control panels are offered by the company. A full range of OS Linux is provided to select upon CentOS, Debian, Fedora, Ubuntu, Gentoo, and Slackware. Full Root Access: Full root access bestowed upon the users for optimal usage of functions. Data Protection: Accidental deletion, hacking instances due to software loopholes become the cause for data loss. SiteValley ensures regular backups to prevent such hassles. Free Setup and 99.9% uptime guaranteed. Data Center preference: users given the freedom to select data centers: US and France. Network issues, maintenance schedules, software up-gradation, etc. are conveyed to the users via the company site with promptness. SiteValley assures its customers superior backing 24/7/365 via chat, phone, and email. For any queries or assistance, the user is required to submit a ticket to help desk and the operators handle the rest. The standard response time is a few seconds in live chat and approximately 2 hours in tickets. Software update scheduled for 12th July 2015, from 12.00-1.00 (GMT). This maintenance will influence OpenVZ carrier usvz04. Estimated time does not exceed 60 minutes. SiteValley has scheduled its site maintenance on July, 19th 2015 from 4.00-5.00am (GMT). Live chat option will not be available during these times. However, users can use-mail and ticket system for support issues.